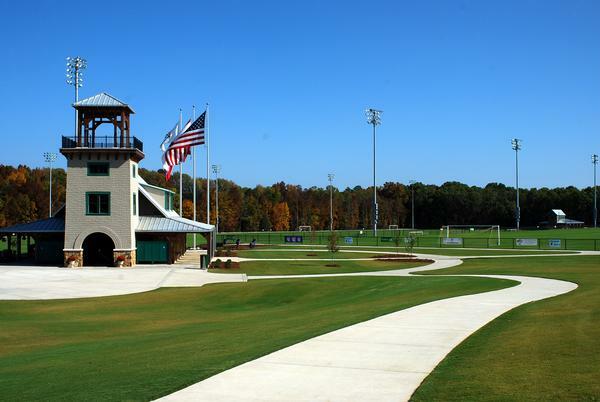 US Youth Soccer has announced it has selected the City of Decatur to host the US Youth Soccer Region III President’s Cup in 2013 and 2014. The Region III President’s Cup is for boys and girls, U13-U17, and typically attracts 120 teams from across the southeastern United States who will be competing for a spot at the US Youth Soccer National Presidents Cup. Set for June 6-9, 2013, the event will be hosted by the Decatur/Morgan County Convention and Visitors Bureau and Decatur Parks and Recreation. In 2013, this will be Region III President’s Cup third appearance in the state of Alabama. In 2006 and 2011, the city of Decatur co-hosted the prestigious event with the city of Huntsville attracting over 2,500 soccer players and families and filling hotel rooms in Athens, Madison, and Huntsville during both visits. Anticipated economic impact for the 2013 event should reach $2.5 million. The 2014 President’s Cup is set for June 12-15. All games will be played at the Jack Allen Recreation Complex and Spirit of America Fields at Point Mallard Park. Region III consists of teams from Alabama, Georgia, Florida, Tennessee, Mississippi, South Carolina, North Carolina, Arkansas, Louisiana, Oklahoma, North Texas and South Texas. The Region III qualifier determines the teams in the Under-13 through Under-17 Boys and Girls age groups that will advance to the US Youth Soccer National Presidents Cup to be held in July, 2013 and 2014. For more information on the Presidents Cup, visit www.usyouthsoccer.org/presidentscup/index.asp. Celebrate Memorial Day with Balloons, Music, and More! 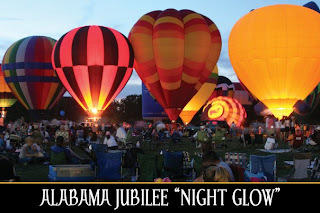 Memorial Day weekend in Decatur, Ala., is filled with hot air balloons, live music, tractors, and other family fun when the Alabama Jubilee Hot-Air Balloon Classic returns to Point Mallard Park. Set for May 25-26, 2013, the annual celebration has grown to be a tradition for many families across the Southeast who come to officially kick off the summer season and enjoy two days of balloon races, mingling with pilots, free tethered rides, fireworks, and more. The weekend also marks the opening of the Point Mallard Water Park and the much anticipated new Lazy River attraction. The Memorial Day celebration begins bright and early on Saturday at 6:30 a.m. with the Hare and Hound Balloon Race. Saturday’s activities include an antique car show and the Southland Flywheelers will host a tractor show featuring some of the best restored and maintained tractors in the Southeast, engine demonstrations, a tractor parade, pedal tractor pull, and tractor games. At dusk, the Balloon Glow is a must see as towering balloons of all colors light up the night sky. Another round of friendly competition between the pilots is scheduled for Sunday beginning at 6:30 a.m. with the Hot-Air Balloon Key Grab Race. For those who want to experience the magic of a balloon ride, free tethered rides are offered from 5:15 to 8 p.m. and a spectacular fireworks show by Pyro Shows is set to launch at 9:30 p.m. In addition, a military tribute and a special recognition for wounded warriors is planned for Sunday at 3:15 p.m. and live music fills the air both evenings beginning at 5:30 p.m. and includes performances by Yerps, Four on the Floor, the Zooks, and Jeff Whitlow and The Old Barn Band. The Decatur Art Guild arts and crafts show offering only original artwork will be open 7 a.m.-7 p.m. on Saturday and 8 a.m.-6 p.m. on Sunday in the Pavilion. Free parking will be available at Wolverine Park and GE with shuttle service to Point Mallard Park from 4 to 10 p.m. for a nominal fee each way. Admission to the Alabama Jubilee is free. Please note all balloon activities are weather permitting. Picnic blankets and lawn chairs are encouraged. All activities take place in Point Mallard Park, a 750-acre municipal park providing year round recreation facilities in Decatur, Ala. The Point Mallard Water Park opens May 25 where visitors will be greeted with a new $3 million Lazy River water ride, new speed slides, and a revamped Olympic pool. The Lazy River attraction features a 1,000-foot winding river complete with water curtains, geysers, and a waterfall mountain. For more information, visit www.pointmallardpark.com. For more information on the Alabama Jubilee Hot-Air Balloon Classic including a schedule of events, visit www.alabamajubilee.net. The 20th annual Daikin Festival is set for May 24, 2013, from 6:30 p.m. to 9:00 p.m. at the Morgan County Fairgrounds in Decatur. Daikin America hosts the free event in celebration of its Japanese heritage and invites the public to join them for an evening filled with Japanese culture displays, exhibits, music, food, and participatory activities for people of all ages. Festival goers are encouraged to wear happi coats and participate in the Japanese folk dances. Happi coats are cloth jackets, or robes, usually containing an emblem, family crest, or logo on the back, and are worn on festive occasions. Live music includes country, Cajun, rock & roll, and traditional Japanese music, and each year, Daikin employees offer entertainment while playing the Japanese Taiko Drums. Along with traditional festival food such as hot dogs, hamburgers, popcorn, and soft drinks, festival goers are treated to Cajun jambalaya, barbeque sandwiches, and Japanese Yakisoba, a stir-fried mix of noodles, cabbage, carrots, and beef. All food and drinks are free of charge. In addition to free parking around the fairgrounds, free round-trip shuttle service will be provided to the fairgrounds from Decatur Mall and Austin High School. Displays consist of a product exhibit where guests can learn more about Daikin-America and its products. Other displays include the Daikin Homestay Program, a program where area students and teachers travel to Japan for a two-week stay. Free tethered hot-air balloon rides are also available, weather permitting. The festivities conclude with a grand prize drawing for a free vacation at 8:45 p.m.
For more information on the Daikin Festival, contact Daikin America Community Relations Manager Forrest Keith at 256.306.5000. Daikin America is a leading global supplier of PTFE Molding and Fine Powders and Dispersions. Daikin also specializes in FEP, PFA, ETFE, PCTFE, EFEP, Fluoroelastomers and Unidyne oil and water repellents. Daikin also is home of the largest solar power installation in Alabama. Daikin is committed to good corporate citizenship, providing new employment opportunities at its various sites. For more information, visit www.daikin-america.com. 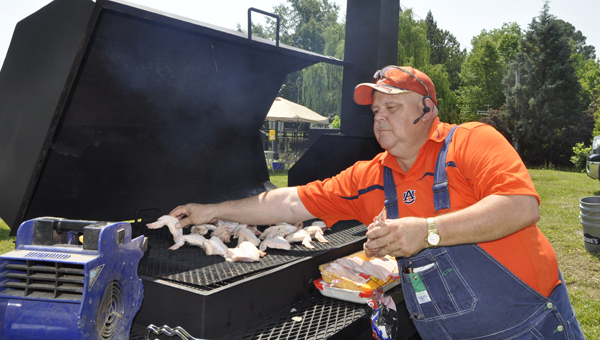 The third weekend in May, downtown Hartselle will be filled with the aroma of slow-cooked barbeque when the annual Cotton Pickin' BBQ Cook-off comes to town. Professional and amateur grill masters are invited to show off their barbeque expertise as festival goers experience the excitement of a cook-off and enjoy shopping in the historic downtown area. Presented by the Hartselle Area Chamber of Commerce, the fourth annual Cotton Pickin' BBQ Cook-off is set for May 17-18, 2013. Sanctioned by the Kansas City Barbeque Society, the cook-off attracts competitive chefs and backyard teams from across the South competing for over $4000 in prize money including a $1,500 Grand Champion award. Entry forms are still being accepted and may be downloaded from the Cotton Pickin's BBQ Facebook page or by calling 256.773.4370. The People's Choice BBQ Tasting is set for Friday, May 17 beginning at 6 p.m. Taste test wristbands will be available for purchase. The Taste Test wristbands provide barbeque samples for each of the competing teams and a vote in the People's Choice BBQ Tasting. Participants vote by placing money - one dollar is equivalent to one vote - into their selection. The team receiving the most votes will be declared People's Choice Winner and will win one half of the total amount votes taken in and bragging rights for the year. Along with the Cook-off on Saturday, May 18, a variety of vendors will be set up in the downtown area. As barbeque chefs smoke it out, festival goers can shop in the many specialty and antique shops located in the historic buildings downtown. Several of the buildings are listed on the National Register of Historic Places. Admission is free. The Cotton Pickin' BBQ Cook-off is held in conjunction with Hartselle's Spring Fling shopping spree. Shoppers are invited to make purchases anywhere in the city of Hartselle beginning May 4 until 3 p.m. on May 18. Receipts must be brought to The Depot on Saturday, May 18 between 10 a.m. and 5 p.m. and for every $10 spent, shoppers will receive one ticket towards a chance to win prizes. The drawing will be held in the Depot Station at approximately 6:30 p.m. and you must be present to win. Prizes range from a cruise for two, flat screen TV, free gas, dinners for two at local restaurants, plus more. North Alabama’s Largest Christian Music Festival is set for May 17-18, 2013. Organizers of north Alabama’s largest free outdoor Christian music festival have announced the theme and lineup for the 15th annual event set for May 17-18, 2013 at Point Mallard Park in Decatur. 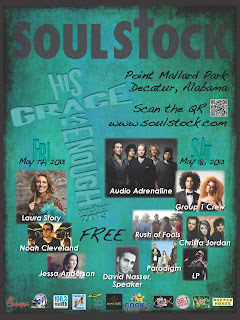 With a theme of “His Grace is Enough”, SoulStock 2013 features a five-time Dove Award-winning group, a rapper, a contemporary Christian artist with a jazz-infused pop/rock sound, a band with a deep connection to Hands and Feet Project, and other Christian bands. On Friday, gates open at 6 p.m. and include performances by Jessa Anderson (www.jessaanderson.com), Noah Cleveland, and Grammy-winning Laura Story. Gates open at 2 p.m. on Saturday with music firing up at 3 p.m. Saturday’s line-up features rapper LP (www.iamlikepaul.com), Pardigm, Christa Jordan, Noah Cleveland (www.noahcleveland.com), Rush of Fools (www.rushoffools.com), Group 1 Crew (www.group1crew.com), and the two-day event comes culminates with Audio Adrenaline (www.audioa.com). This year’s featured speaker on Saturday is David Nasser. At the age of nine, he escaped his native homeland of Iran with his family, leaving everything behind to find a new beginning in the United States. Desiring acceptance from his peers, and despite trying to find ways to fit in, he was always left feeling like an outsider. At the age of eighteen, he found true acceptance, when through the persistent witness of a body of believers, he received salvation and accepted a personal relationship with Jesus Christ. Today, Nasser speaks to over 700,000 people each year through revivals, citywide rallies, camps, and school assemblies. For more information, visit www.davidnasser.com. 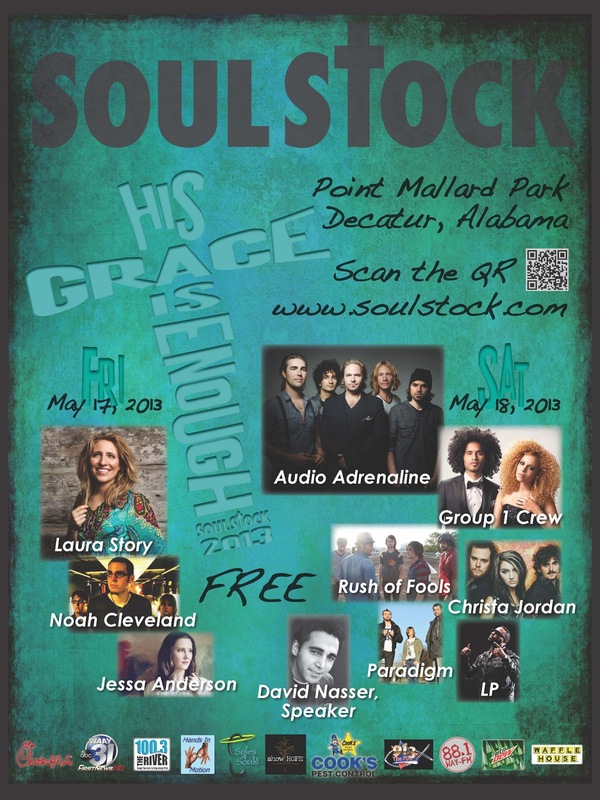 SoulStock has grown to be North Alabama’s largest free outdoor Christian music festival attracting over 20,000 children and adults to the Spirit of America Field located in Point Mallard Park for two days of uplifting contemporary Christian music and testimonials. Festival goers are encouraged to bring picnic blankets, lawn chairs, and a pair or two of gently used shoes to give to Soles4Souls. A variety of food vendors will be available to suit any taste bud. SoulStock’s Partners in Ministry for 2013 are Soles4Souls and Hands in Motion. Platinum Level Sponsors committed are ShowHope and Cooks Pest Control. For more information, visit www.soulstock.com. Located along the Tennessee River, Point Mallard Park is a 500-acre family park and includes one of the South‘s best golf courses, a 25-acre, wooded campground, a waterpark with a new Lazy River, and a year round indoor ice skating rink. Point Mallard's additional facilities include tennis courts, batting cages, hiking/jogging/biking trails, and a driving range. Alcoholic beverages and smoking are not permitted on the Point Mallard property. For more information, visit www.pointmallardpark.com. 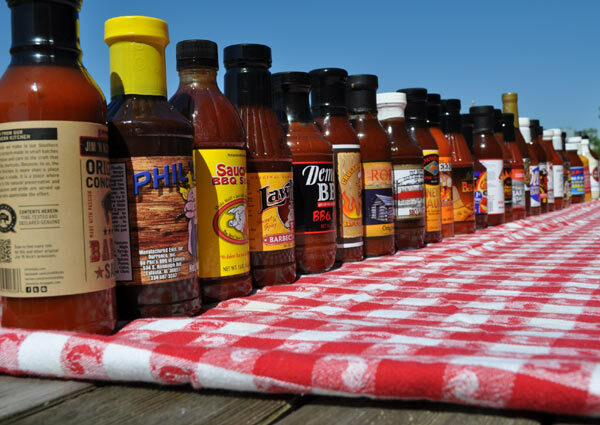 In its quest to find the state’s best barbecue sauce, the Alabama Tourism Department is hosting a statewide “Sauce-Off” where community leaders will sample thirty-four sauces during four regional competitions. Decatur will host a regional competition on May 11, 2013 at the Decatur/Morgan County Farmer’s Market. The regional competitions began May 4th in Montgomery at the Southern Makers Festival and in Mobile at the Market on the Square. On May 11th, competitions will be held at the Decatur/Morgan County Farmers Market and in Tuscaloosa at the Tuscaloosa River Market. The Decatur/Morgan County Convention and Visitors Bureau (DMCCVB), as part of their National Tourism Week activities, will host the “Sauce Off” set for 10 a.m. Local judges for the regional competition in Decatur include WAFF 48 news reporter Bobby Shuttleworth, DMCCVB President/CEO Melinda Dunn, and Evan Carden, publications manager for Decatur Life magazine. Winners from each of the four regional competitions will advance to the “BBQ Sauce-Off” championship set for May 18th in Birmingham. According to the Alabama Tourism Department’s Brian Jones, thirty-four sauces were gathered from restaurants and grocery stores across the state to be sampled by judges in blind taste tests. Sauces in the contest include: Bailey’s, Baumhower’s, Berdeaux’s, BBQ Shack, Big Bob Gibson, Bishop’s, Bob Sykes, Bryant, Carlile’s, Costas, Crusty Butts & Bones, Dale’s BBQ, Demetri’s, Dreamland, Fat Boy’s, Full Moon, Golden Rule, Jim ‘N Nick’s, Johnny’s BBQ, LawLers, Mike & Ed’s, Mike Elliott’s, Moon Hollow, Noodie’s, Ollie’s, Perfect Bite BBQ, Phil’s, Rob’s, Saban Sauce, Saw’s, Saucy Q, Slaphappy BBQ, Thomas Rib Shack and Viper. The search for Alabama’s best commercial barbecue sauce is part of the ongoing Year of Alabama Food campaign. Only bottled barbecue sauces available in retail outlets such as stores and restaurants are eligible. 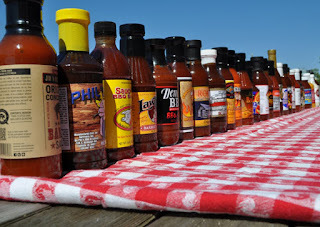 All sauces also must be made in Alabama or bottled for an Alabama-based company, and they have to include the word barbecue or variation thereof in the name or description on the bottle. For more information, visit www.yearofalabamafood.com or Facebook.com/AlabamaFood. Decatur’s historic Princess Theatre presents the annual VIOLINS! 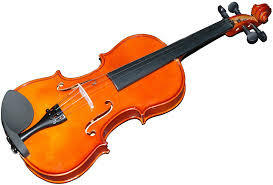 VIOLINS! VIOLINS! on Monday, May 13, 2013 at 7:00 p.m. The annual concert celebrates excellence in arts education and features performances by students in the string programs of the Decatur City Schools and the Symphony School of the Huntsville Symphony Orchestra and the Decatur Youth Symphony, directed by Jacob Frank. The concert is made possible by a grant from the Alabama State Council on the Arts and the National Endowment for the Arts. The event is an annual tradition at the Princess Theatre as part of its partnership in arts education with the Decatur City Schools. Julie Noles, Director of Education for The Symphony School in Huntsville, is programming the concert with young musicians from the third grade violin program, featuring students from Julian Harris Elementary School. There will also be a violin, dulcimer and guitar demonstration by students of Music Specialist Kay Grubbs from Woodmeade Elementary and a performance by the Decatur Youth Symphony’s Apollo Strings and Solaris Strings. The concert is presented by the Princess Theatre as part of its partnership in arts education with the Decatur City Schools. The one hour concert is free and the public is invited. A reception honoring the young musicians follows the concert in the lobby. Strawberry season is officially here in North Alabama and in celebration, free samples will be provided on May 4, 2013 with the 4th annual Strawberry Day at the Decatur/Morgan County Farmer’s Market. From 9 a.m. to 1 p.m. (or until supplies last), free samples of the sweet red berry, along with strawberry shortcake and soft drinks, will be available for festival-goers. In addition to strawberries, jams and jellies, fresh-baked goods, flowering plants, and other fresh seasonal fruit and vegetables will be available for purchase. Locally-grown berries are much sweet and juicier than those transported in from across the country. The berries are only expected to be available now thru early June as they do not respond well to heat, according to Decatur/Morgan County Farmer’s Market Manager Burl Slaton. Due to limited availability, those who crave the sweet berry can stock up and freeze for year-round enjoyment. The Decatur/Morgan County Farmer’s Market, located at 211 First Avenue SE in Decatur, also celebrates Corn Day on July 13th, Tomato Sandwich Day on August 3th, and Watermelon Day on August 17th. 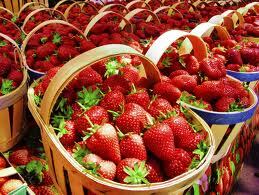 For more information on Strawberry Day, call Slaton at 256.476.5595. The Dragon Boat Festival made its debut last year where over 1,100 participants got the ride of their life in the Tennessee River as a way to raise money for the Decatur Morgan Hospital Foundation. Set for May 11 in the Point Mallard Park Aquatic Center, the event promises to make waves again in 2013 as paddlers compete for medals and bragging rights and spectators cheer on their favorite teams. The Dragon Boat Race and Festival is a unique cultural event featuring adrenaline-pumping action while also serving as a fundraiser for the Decatur Morgan Hospital Foundation. Teams, comprised of 20 paddlers, a drummer and a trained dragon boat steerer/coach, will race in authentic Asian-style, 46-foot-long dragon boats. Teams may have four alternates, for a total of 25 team members, or can race with a minimum of 16. There must be at least eight female paddlers and minimum age for adult teams is 15 with parental consent. Each team is guaranteed at least two races on the 250-meter race course with winners advancing to the finals. Racing starts at 9 a.m. and events last throughout the day until approximately 4 p.m., rain or shine. Spectators may watch and cheer on their favorite team from the beach area of the Point Mallard Aquatic Center or from the water at a safe distance from the race course. The concession stand will be open throughout the event. Water Park pools and rides will be closed. Admission and parking are free. Donations will be accepted with proceeds benefiting the Decatur General Foundation, a 501(c)3 organization providing financial support to the programs and services of Decatur Morgan Hospital. Sponsors for the 2013 event include Presenting Sponsor Toray, BP of Decatur, The Decatur Daily, Boeing, Clear Channel, Daikin, Decatur Parks and Recreation, FOX 54, Garden Plaza Hotel and Suites, Lynn Layton, Nucor, Temple, Inc., Valley Budweiser, Bryant Dental, Decatur/Morgan County Convention and Visitors Bureau, Regions Bank, Pepsi of Decatur, Point Mallard Park, Volunteer Center of Morgan County, and Warren Averett Kimbrough and Marino. Dragon boat racing is the eighth fastest growing sport in the world, with more than 50 million people in 63 countries participating. The tradition of Dragon Boat Racing is an annual Asian rite commemorating the idealistic poet and reformer Qu Yuan who drowned himself in the third century B.C. to protest against his emperor’s policies. The locals raced in their boats in an attempt to rescue the poet, and beat their drums and splashed their paddles to prevent fish and water dragons from eating his body. This was considered the beginning of Dragon Boat Racing. 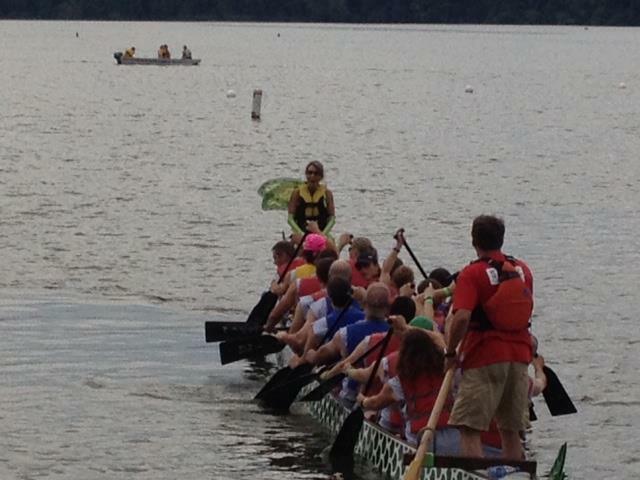 For more information about dragon boat racing, visit www.racedragonboats.com. For more information on the Decatur Morgan Hospital Foundation Dragon Boat Race and Festival, visit www.decaturdragonboat.org.